These commercial sink faucets feature triple plated polished chrome finish, water saving aerator with 2.0 GPM flow rates, replaceable, washerless valve cartridges and chrome plated die cast lever handles. Sink faucets in this group conform to NSF/ANSI 372 and are ADA and Lead Free Compliant. Deck mounted Lead Free Compliant PVD Chrome swing spout. Control connected to spout with 12" flexible hose. Deck to aerator 8-1/8". Includes hose and spray. J-990-LS identical to J-990-WF, less spray with hose. SPECIFICATIONS: Two handle mixing faucets feature polished chrome plate finish, solid cast brass bodies, water saving aerator with 2.2 GPM flow rates, brass quarter turn stem units, replaceable seats , and chrome plated die cast handles. These faucets conform to NSF/ANSI 372 and are ADA Compliant. Deck mount Lead Free Compliant mixing faucet. 10" reach, cast brass spout.Teardrop handles. Deck to top of spout 4- 1/2". Deck to aerator 3-1/4". JB-700S identical to JB-710, except includes spray with hose. Polished Chrome Lead Free Compliant Double Handle Kitchen Widespread Faucet. Deck mounted Lead Free Compliant mixing faucet. 8" tube spout. Lever handles are indexed "H" & "C". Deck mounted Lead Free Compliant mixing faucet with 7-3/4" reach,chrome plated brass spout.Lever handles indexed "H" & "C". V-1123-A Identical to JV-1122-A, except includes spray with hose. Concealed Lead Free Compliant mixing faucet. 7-3/4" chrome plated brass spout. Lever handles are indexed "H" & "C". JV-175-A identical to JV-174-A, except includes spray with hose. Deck Mounted Lead Free Compliant mixing faucet. 7-3/4" chrome plated brass spout. Lever handles are indexed "H" & "C". SPECIFICATIONS: Sink faucets feature polished chrome plate finish, water saving aerator with 2.2 GPM flow rates, brass quarter stem units, replaceable seats, cast brass bodies, and chrome plated die cast teardrop handles. The faucets in this group conform to NSF/ANSI 372 and are ADA Compliant. Handle Options: Wrist blade-specify "W4" for 4" or "W6" for 6", Vandal Resistant-specify "VR-H". Aerator options: Vandal Resistant-specify "VRA", Rose Spray Aerator-specify "JRS". Concealed Lead Free Compliant offset faucet with 8-3/4" reach, high rise spout. Body with flexible hose connections. Deck to top of spout 11-5/8". Deck to aerator 10-5/8". JOL-401 identical to JOL-400, includes spray with hose. Deck mount Lead Free Compliant mixing faucet. 6-5/8" reach, triple radius spout with cast brass support cone. Deck to top of spout 12-1/2". Deck to aerator 10". JTR-55 identical to JTR-50, includes spray with hose. 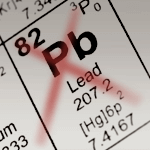 Concealed Lead Free Compliant faucet. 6-5/8" reach, triple radius spout with cast brass support cone. Deck to top of spout 12-1/2". Deck to aerator 10". Deck mounted Lead Free Compliant faucet. 8-3/4" reach, high rise spout. Deck to top of spout 10-13/16". Deck to aerator 9-13/16". Concealed Lead Free Compliant faucet with 8-3/4" reach, high rise spout. Deck to top of spout 11-5/8". Deck to aerator 10-5/8". JWF-201 identical to JWF- 200, includes spray with hose. SPECIFICATIONS: The faucets in this group feature polished chrome plate finish, solid cast brass bodies, water saving aerators, brass quarter turn quick compression stem units, replaceable seat washers, and chrome plated cast brass handles. 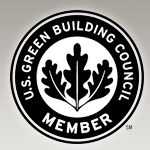 The faucets in this group conform to NSF/ANSI 372 and are ADA Compliant. Concealed Lead Free Compliant mixing faucet with 5-1/2" reach, chrome plated swivel gooseneck spout with 2.2 GPM flow restricting aerator. 4" wrist blade handles, color indexed hot and cold. Options: W6, B, JRS, VR-A, VR-H.
J-1174-R identical to J-1174-KS, except with rigid, non-swiveling spout. Deck mount Lead Free Compliant single hole gooseneck faucet with 4-15/16" reach, rigid spout and 2.2 GPM flow restricting aerator. 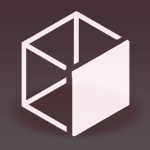 Handles are indexed "H" & "C". Deck to top of spout 11-15/32". Deck to aerator 8-15/32". Options: W4, W6, B, JRS, VR-A, VR-H.
Deck mount Lead Free Compliant single hole gooseneck faucet with 6 1/2" swivel spout and 2.2 GPM flow restricting aerator. Handles are indexed "H" & "C". Deck to top of spout 12-1/16". Deck to aerator 7-7/8". SPECIFICATIONS: These faucets feature a polished chrome finish,water saving aerator, chrome plated die cast handles, conform to NSF/ANSI 372 and are ADA Compliant. 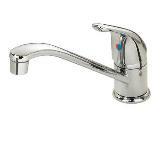 Lavatory centerset faucet Lead Free Compliant with pop-up drain and 1-1/4" tailpiece. Solid cast brass body. Replaceable seats and aerator. Flow rate 2.2 GPM at 80 PSI. 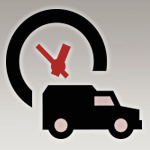 Options: W4, LRS, B, VR-A, VR-H, VRH/A. Lavatory centerset faucet Lead Free Compliant less drain. Solid cast brass body Replaceable seats and aerator Flow rate 2.2 GPM at 80 PSI. Deck mounted Lead Free Compliant single control washerless faucet with 4" brass swing spout. Brass body. Flow rate 2.0 GPM maximum. SPECIFICATIONS: Two handle bar sink mixing faucets. 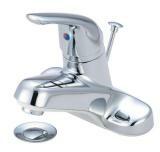 Featuring polished chrome plate brass shell, cast brass bodies, water saving aerator with 2.2 GPM flow rate. The faucets in this group conform to NSF/ANSI 372 and are ADA Compliant. 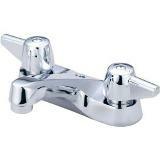 Deck mounted Lead Free Compliant mixing faucet with 3-7/8" reach, rigid gooseneck spout. Deck to top of spout 10-3/4". Deck to aerator 6-1/2". Replaceable seats. Lever handles indexed "H" & "C". Options: W4, W6, VR-A, VR-H.
Deck mounted Lead Free Compliant mixing faucet with 3-7/8" swivel gooseneck spout. Deck to top of spout 10 3/4". Deck to aerator 6 1/2". Replaceable seats. Lever handles indexed "H" & "C". AC = AC POWERED–Plug-in power adapter with armored/vandal resistant output cable, 3/8” copper supply tube, in-line filter and mounting hardware. B = BATTERY POWERED–Battery holder with (4) AA batteries, 3/8” copper supply tube, in-line filter and mounting hardware. 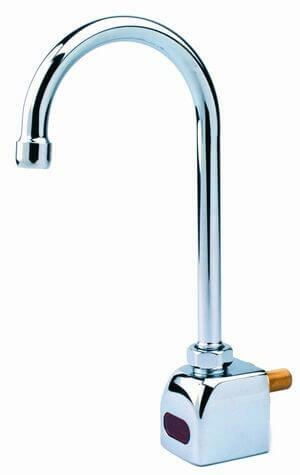 Deck mount Lead Free Compoliant, non-mixing, automatic lavatory faucet with chrome plated, solid brass construction. 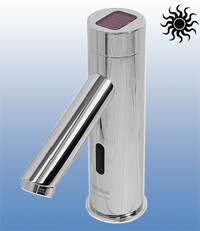 Includes faucet, sensor assembly with armored vandal resistant control cable. Sensor-operated Lead Free Compliant backsplash mounted faucet. Chrome plated solid brass construction faucet body. Chrome plated spout 12-3/4” high from bottom of base (8-3/4” from base to aerator) with 5-3/8” reach. 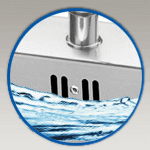 Laminar flow 2.0GPM aerator. 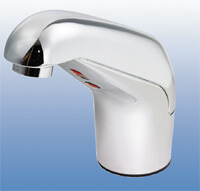 Deck mount Lead Free Compliant, non-mixing, automatic faucet with chrome plated, solid brass construction. Includes faucet, sensor assembly with armored/vandal resistant control cable, vandal and water resistant wall-mountable control box. Deck mount Lead Free Compliant, non-mixing, automatic faucet with chrome plated, solid brass 4” centerset construction, three hole punching required. 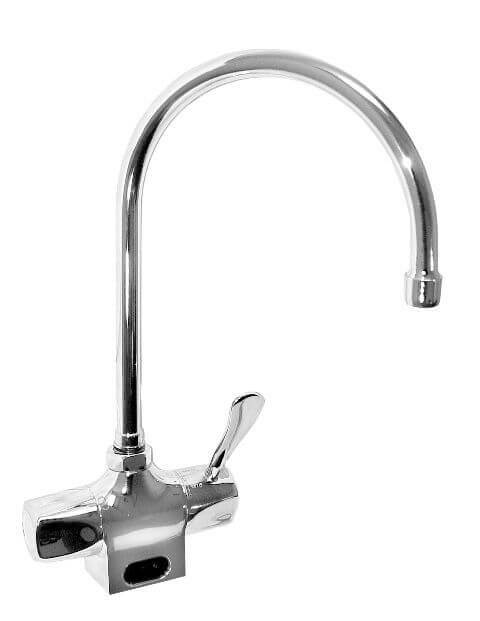 Deck mount Lead Free Compliant, mixing, automatic gooseneck faucet with chrome plated, solid brass construction with built-in temperature control and manual override. 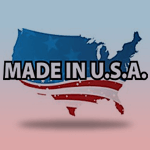 Secure your ARRA (American Recovery and Reinvestment Act) project specifications with Made in USA plumbing products. 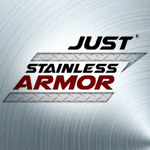 Just Manufacturing offers a comprehensive line of Lead-Free products that comply with the U.S. 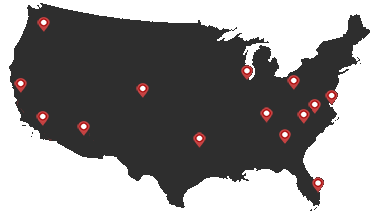 Safe Drinking Water Act.